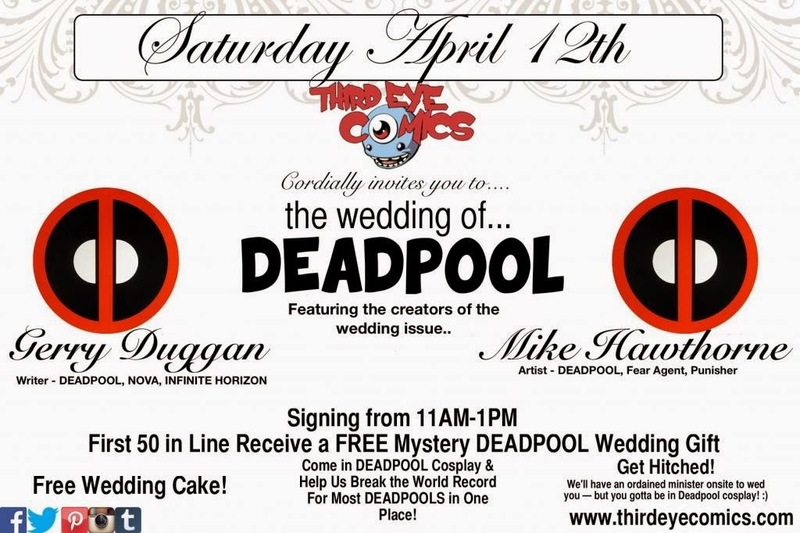 Mike Hawthorne: Deadpool Wedding signing! The big, oversized Deadpool Wedding issue hit stands! Did you get it? Good, good. Check out some great reviews here, here and here. So, you want to get it signed by me and series writer Gerry Duggan? Want to hang out at an actual Deadpool Wedding? Yeah, I thought you would. Check out what we have planned this weekend at Third Eye Comics in Maryland. If you're anywhere near Maryland, you gotta come out to the event!